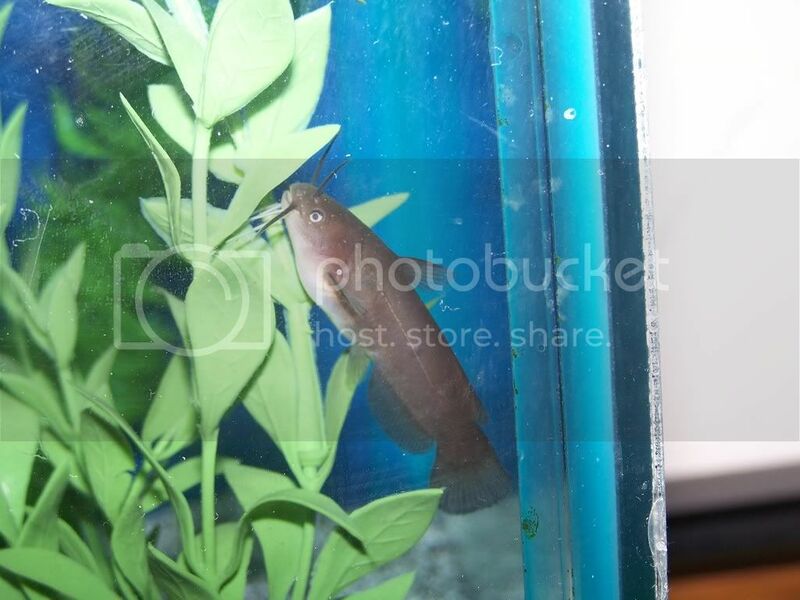 Here are a few pictures of my Yellow Bullheads. Sorry about the picture quality. I have never been able to take good photos of fish. 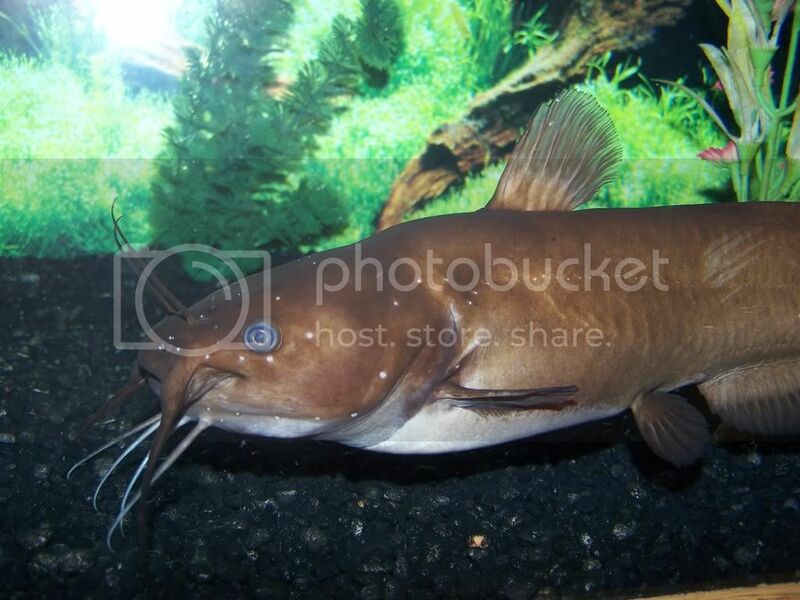 The 100gal with the biggest Yellow Bullhead. 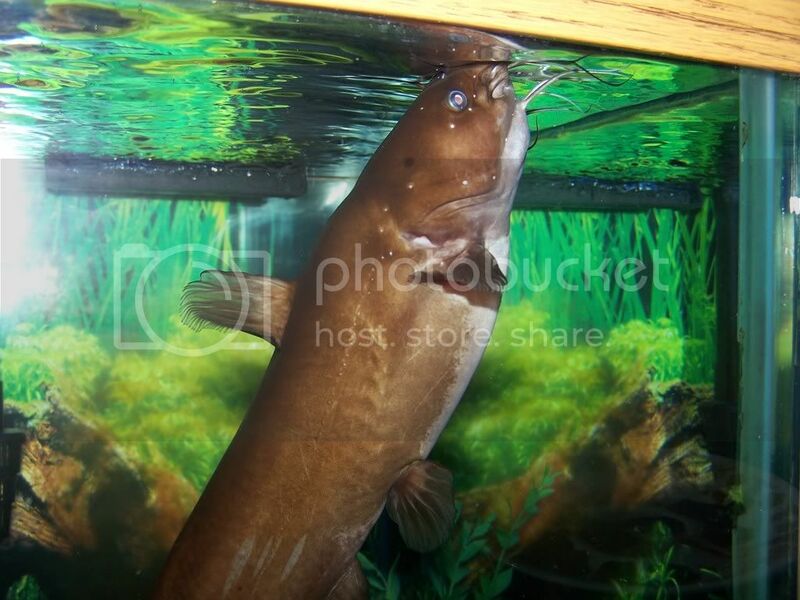 Yellow Bullhead at the top of the tank fixing to be fed. 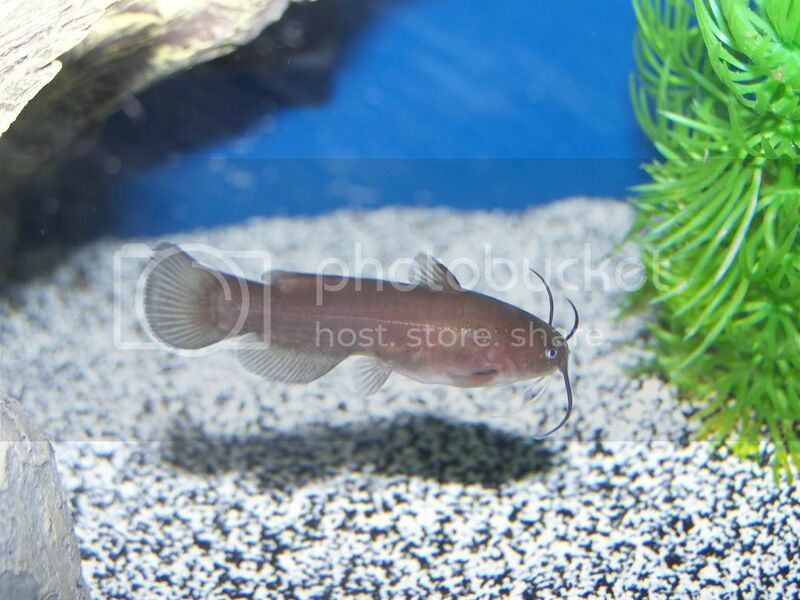 These are a few photos of my baby Yellow Bullhead. Thats a fatty!!! Do you know it's dimesions? I'm PM some pics of a few new brwn & yllowd babies I have too. Nice bulls!!! 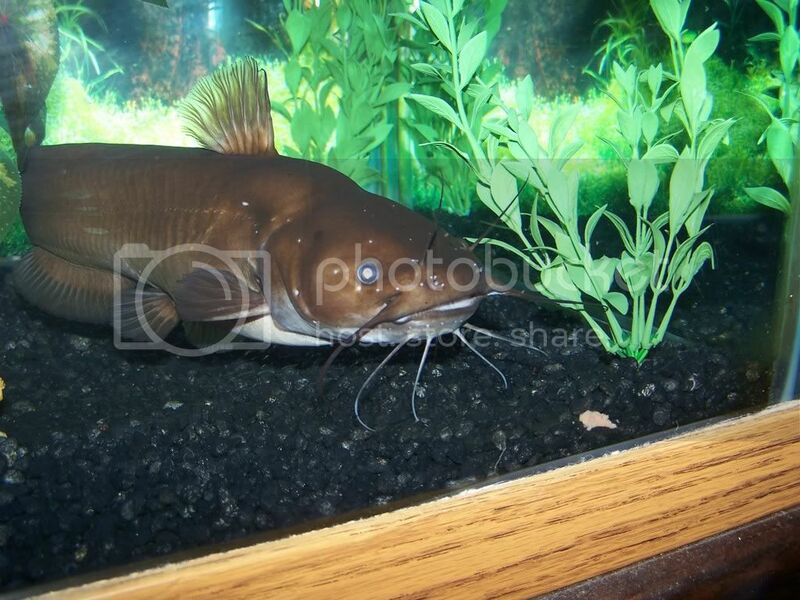 I did my best to measure my big bullhead and I think he is about 13-15''. He has grown well being fed on Chicken Livers. Anything else in there with him? 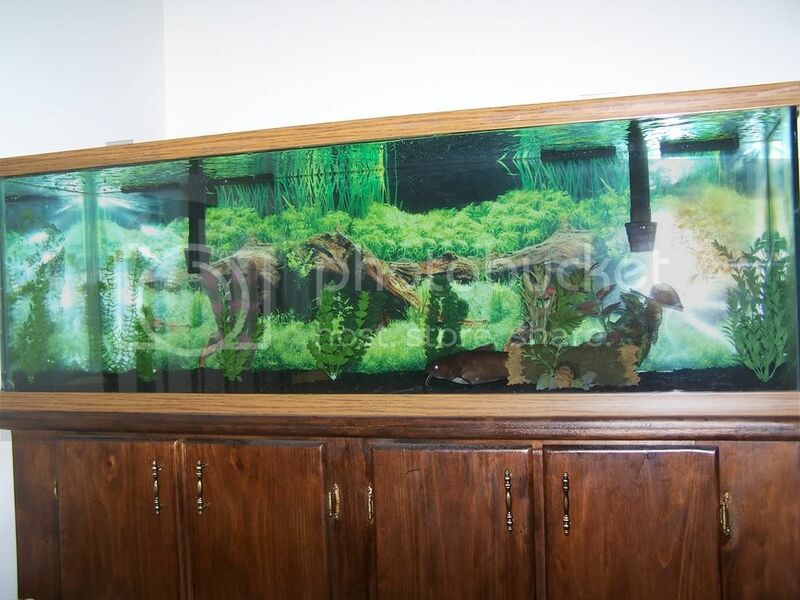 That's a great tank and some great fish! 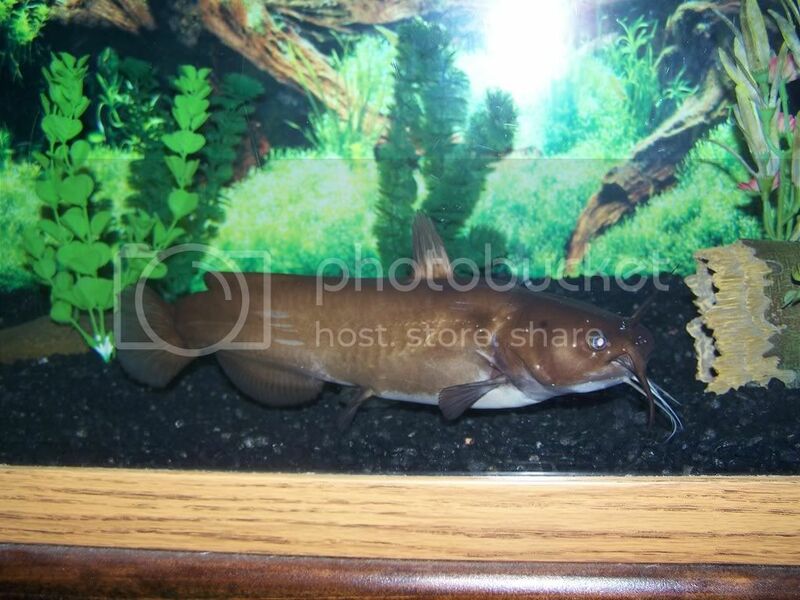 He is in there alone right now, but I have some sunfish that I am growing out to put in there with him. I am going to let the sunnies get 5-6'' or bigger to keep him from considering them food.